Objective: To ensure Royal Leamington Spa offers a beautiful, welcoming and safe environment where customers can easily discover and enjoy the unique offer. It is predicted that by 2020 more than half of all non-food retail sales will be made online. This will drastically affect consumer habits, traditional face-to-face retail sales and town centre footfall. Also, attracting customers through great marketing can only be successful if we are able to back up our message when they arrive. 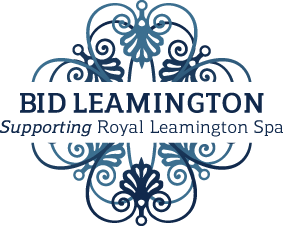 With this in mind, BID Leamington seeks to pro-actively buck the trend by ensuring that Royal Leamington Spa is seen as somewhere to have a great experience as well as shop. This will not only attract people but increase dwell time, spend, and encourage return visits. Experiencing Royal Leamington Spa is about the whole package on offer – from first impressions, the welcome upon arrival, the way visitors get around and the things they do when they are here to the messages visitors take away and tell their friends about. It is also part of how we develop a commitment to the town – loyalty and pride. Street scene: Implement a calendar of beautification through street scene enhancements. Way-finding: Ensure people can find what they are looking for, and raise awareness of the daytime and night-time offer so customers can explore and experience the whole town. Leamington Ambassadors: Volunteers and supporters to help communicate what the town has to offer. Think Before You Give Campaign: Encouraging people to give responsibly when faced with people who are begging in the local area. The Purple Flag Scheme: Meeting the standards of evening and night-time economy management to offer ‘a better night out’ to visitors. Partnered with the ‘Royal Leamington Spa Town Council’ to support Leamington in Bloom. Provided 250 beautiful floral baskets throughout the town. Once again wowed approximately 10,000 visitors to the town’s Christmas Light switch-on with BID funded Christmas lights. Uniformed Town Centre ‘Ambassadors’ were deployed in Leamington Spa during key events including the Food & Drink Festival, Christmas and the ‘Love Leam’ month in February. Delivered improved signage in the Town Centre including a monolith on Parade and at the Train Station. This was a complex partnership project delivered jointly with Warwick District Council and the Town Council. Provided guides and information to the Leamington History Group, Shop Mobility Scheme, Tourist Information and other groups who provide tours and visitor services. Deployed uniformed Town Centre ‘Ambassadors’ in Leamington Spa during key events including the Food & Drink Festival, Christmas and the ‘Love Leam’ month in February. Partnered with ‘Leamington in Bloom’ and the ‘Royal Leamington Spa Town Council’ to launch a ‘Commercial Town Centre Floral Window’ competition as well as a photography competition and mosaic workshops to carry out ‘Well Dressing’ of the historic ‘Spa’. Uniformed Town Centre Ambassadors’ were deployed in Leamington Spa during key events including the Food & Drink Festival, Christmas and the ‘Love Leam’ month in February. Received £10,000 from the Warwickshire County Council to contribute towards improved signage in the Town Centre. This is a complex partnership project to be delivered jointly with Warwick District Council and the Town Council. To date the audit, stakeholder survey and identification of actions is complete. We aim to implement physical infrastructure this coming year. Awarded Patricia Huckval from HM Graphics and Siddiqi Qamar and Hassanein Ahmed from the Royal Priors Shopping Centre Security Team, the ‘Town Centre Retail Hero’ individual and team award respectively. Nominated by store owners or managers that recognised employees who had gone the extra mile for their customers during the year. Other businesses whose staff got special recognition included Café Rouge, Cook, East, Ella’s Toy Shop, Fabulous, Indigo Hair, Louie Noir Lingerie, Royal Pug and Whittard of Chelsea. Received £5000 from Warwickshire County Council to support the development of a ‘Town Centre Ambassadors’ scheme in Leamington Spa. This was piloted during the ‘Love Leam’ month in February. Volunteers are now being recruited and trained ready for a formal launch later in the summer. Received £5000 from the Royal Leamington Spa Town Council to contribute towards improved signage in the Town Centre. This is a complex partnership project to be delivered jointly with Warwick District Council and Warwickshire County Council. Secured £10,000 funding from the Warwickshire County Council to contribute towards improved signage in the Town Centre. This will include a monolith on Parade and at the Train Station. This is a complex partnership project to be delivered jointly with Warwick District Council and the Town Council. We aim to implement physical infrastructure this coming year. Implemented and managed the town’s new WIFI service. This ambitious project was aimed at showcasing the town nationally and bringing together the local business community. It was totally community funded and we are as proud of that as we are of the exhibit itself. The garden captured the town’s imagination; from schools to tradesmen and even a local film-maker and it brought together businesses and people who are at the heart of the community who want to do something lasting and amazing for their town. Secured a spot to showcase the town at the RHS Chelsea Flower Show 2014 and won a coveted ‘RHS Chelsea Silver’ medal. Raised over £60,000 of in-kind and financial contributions to deliver the project from over 80 businesses in the BID area and beyond. Successfully engaged the local community in the project with 32 blooming buddies, 35 entries to the children’s ‘Dream Garden’ competition in February, 2000 visits to the Blooming Leamington website and 519 new Twitter Followers @BloomingLeam. Achieved an estimated advertising value of £150,000 from PR generated. The project was showcased in regional and national publications every week in the three months prior to the show. Television coverage included BBC Midlands Today, ITV Central News and BBC North West Today when the garden was featured 14 times over 2 weeks for a total time of approximately 18 minutes. The estimated advertising value of this was in the region of £80,000. Radio coverage included 6 interviews on a number of BBC regional stations which equated to over 15 minutes on air. The team distributed 8000 copies of the 28 page high quality Royal Leamington Spa exhibit documents at the show and 2000 copies locally. The print for this was kindly sponsored by Emmerson Press. The project will leave a lasting legacy as the beautiful hand-made arbour designed by Clive Sanderson from Charles Branson Design is to be installed in the local gardens. Once again wowed approximately 10,000 visitors to the town’s Christmas Light switch-on with BID funded Christmas lights which were new this year. The calendar of events, street scene improvements and way-finding activities can be found in the Marketing Plan, under Marketing and Promotional Activities. Please contact us if you would like to view the records of projects delivered in previous years since the BID was established in July 2008.